Before I get to my business intel, you should know that the personal tax world was roiling late last week over some fraud detected from within TurboTax. Essentially, the makers of the software detected a level of fraud occurring in state tax return submissions that made them decide to completely shut down submission of those returns for a period of time. Eventually, they determined that the apparent source of the fraud was outside of their system, and have resumed filing state tax returns. It does seem that TurboTax did everything by the book, and should be (relatively) safe to use. This doesn’t, perhaps, affect business returns overmuch (especially if we handle them for you). Again, TurboTax seems to have handled this fairly well, all things considered. But when there’s a problem or question — would you rather sit on hold with the IRS, deal with online chat help, navigate through instructional videos, etc. etc. — or deal with a human who knows you? Now — as we move more steadily into 2015, I think we should have a clear picture of what we’re shooting for in our businesses, yes? Peter Drucker once said “what gets measured gets managed,” and it continues to remain true — regardless of advances in technology, and the multiplicity of tools we now have. You see, accurate measurements provide feedback and it’s (only) with this information that you can make informed calls. Think about your own personal goals (assuming you have them!). Perhaps last year you wanted to lose 20 pounds — so what would you do? One option would have been to get on the scales this week last February (back in 2014), and then to simply compare your weight at that time to your weight this week, one year later. I doubt you’d have had much success. Instead you’d take regular measurements of your weight between the start and end date and make informed adjustments to your diet and exercise regimen according to what the measurements told you. You’d manage the process. As we think about what it would look like for us to manage our bodies, there are all kinds of connections to other areas of our lives. You see where I’m going here: It’s exactly the same for your business. If you measure your key metrics you can manage their performance. Each and every business has key performance indicators (KPI’s), some of which are common to other businesses, some which are industry-specific, and perhaps some which the company created for itself. * How much is left over after COGS. * Have you maximized your COGS for 280E purposes. * Gross Profit divided by Total Revenue. * The amount of profit for every $1 of revenue generated. * Net Profit divided by Total Revenue multiplied by 100. * Delivery turns per shift. The number of times a delivery person is ale to make deliveries during a normal work shift. The number of hours a cultivator takes to trim your crops. The number of “bad buds” in your grow/harvest. You must absolutely integrate the RIGHT measurements to provide proper feedback on your business’ performance. I hope this gets your juices flowing. Many of these financial indicators are things that WE can help you to implement … if you let us! Feel very free forward this article to a business associate or client you know who could benefit from our assistance — or simply send them our way? While these particular articles usually relate to business strategy, as you know, we specialize in tax preparation and planning for families and cannabis business owners. And we always make room for referrals from trusted sources like you. 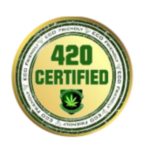 A very special thanks to at 420 College (www.420college.org). George has created a 2-day seminar to educate and address your questions and concerns about operating a collective in the cannabis industry. We were proud to participate in the speaker panel this weekend, and hope to make this a regular occurrence. 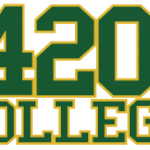 Make sure to drop by www.420College.org to see when a seminar is coming to your area.